Omega 3 fatty acids are a valuable food supplement and an omega 3 pregnancy formula can be a good idea as part of your pregnancy nutrition plan. Omega 3 fatty acids are polyunsaturated fatty acids that mostly come from fatty fish, walnuts, and flax seeds. It is thought to be particularly helpful for preventing heart disease. It is generally recommended for all adults to eat two servings of fish a week to get their dose of omega 3 for cardiovascular health. For pregnant women, an omega 3 pregnancy formula can be helpful because omega 3 is considered vital for prenatal development. It is thought to be useful for development of baby's brain, eyes, and heart. Omega 3 may help enhance your child's attention span and cognitive function. An omega 3 pregnancy formula is also thought to help prevent premature birth and to improve the mother's health during pregnancy. Recent studies have shown that taking fish oil during pregnancy may improve baby's coordination, increase birth weight, and reduce your child's risk of developing type 1 diabetes. An expecting mother could just eat fish regularly in order to get the benefits of omega 3s, but many people are worried about the consumption of mercury that comes from certain kinds of fish. Mercury is most often found in fish such as shark, swordfish, tile fish, and king mackerel. Canned tuna or fresh tuna should also be limited during pregnancy. Getting too much mercury can harm your fetus and lead to birth defects. Exposure to mercury can lead to brain damage, hearing loss, or learning disabilities, and can be potentially fatal. An omega 3 pregnancy formula is therefore a great idea because the fish oil used in them is usually certified mercury-free. They also should be free of other chemicals, contaminants, and impurities that might be found in fish. Dosages for various omega 3 pregnancy formulas may vary, but the usual dose is around 1,500 milligrams a day. These pills usually contain DHA and EPA, the two omega 3 fatty acids that are most important for baby's development. There are several omega 3 supplements available that are designed for pregnant women and can also be used before conception. 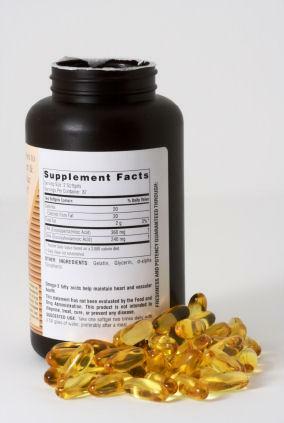 Some of these supplements include other valuable vitamins and minerals such as calcium or folic acid. If you are following a vegetarian diet during your pregnancy, you will need to find a vegetarian source of omega 3s to get the benefits you are looking for. If you feel you aren't getting enough omega 3 from your diet, you might want to consider an omega 3 pregnancy formula made for vegetarians or vegans. Check that the source of the omega 3s is not fish and that the pills are not made from gelatin. Omega 3 fatty acids are a great addition to your diet for your health and your child's, and there are easy ways to supplement them in your diet without having to worry about overdoing it on the mercury.